North Korean leader Kim Jong-un, accompanied by his wife Ri Sol Ju and top North Korean officials, has arrived in China for a four-day visit at the invitation of Chinese President Xi Jinping, as preparations increase for a second summit with US President Trump. During his stay in China, Kim is expected to hold his fourth summit with Xi. The visit comes a week after Kim warned that North Korea may seek an alternative course if the United States maintains sanctions and pressure on his country. Analysts also believe that Kim is eager to use the fact that relations between China and the US are strained amid the world’s two biggest economies’ bitter trade war, in order for North Korea to get as much as possible out of the expected talks. In his annual New Year’s address last week, Kim renewed his commitment to denuclearization but added that the progress would be faster if Washington took the corresponding action. North Korea would have “no option but to explore a new path in order to protect our sovereignty” if the US “miscalculates our people’s patience, forces something upon us and pursues sanctions and pressure without keeping a promise it made in front of the world”, Kim said, adding that he was ready to meet Trump again at any time. The visit also coincided with what South Korean officials say is Kim Jong-un’s 35th birthday on January 8. North Korea’s Chairman Kim Jong Un wants to meet with President Trump again, says South Korean President Moon Jae-in, who has just returned from Pyongyang. O n the final day of the summit, Moon and Kim took a symbolic step toward peace, traveling outside the capital to visit Mount Paektu – a famous and revered volcano that’s also the highest point on the Korean Peninsula, situated along North Korea’s border with China. The two leaders and their wives posed at the site for photos, standing in front of Heaven Lake — a lake in the caldera of the sacred volcano. South Korean President Moon expects to see President Trump in New York next week, when he attends the U.N. General Assembly. 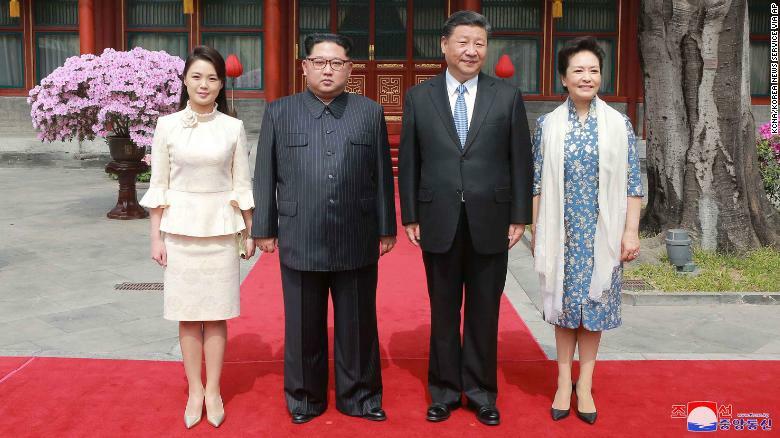 Ri Sol Ju, wife of North Korean leader Kim Jong Un, has been afforded a new title in the country’s state media, a move that analysts say could signal an evolution in the power structure of the reclusive country. Referred to in a KCNA report as the “respected First Lady,” paired with an honorific reserved for respected members of society, the title is a step up from the usual “comrade” that she had previously been afforded. The wives of North Korea’s two previous leaders, Kim Jong Un’s father and grandfather, have generally not been given the same status as that accorded to other leaders’ spouses around the world, Stangarone said. Ri’s new title places her “more within Western norms and helps remove some of the old communist vestiges of the past,” Stangarone said. He added that Kim’s decision to send his sister, Kim Yo Jong, to the Winter Olympics in Pyeongchang, South Korea in February was another sign that the ruling family is intent on changing the optics around its power structure. North Korean leader Kim Jong-un was deeply moved by a concert in Pyongyang featuring South Korea artists, the North’s state news agency KCNA reports. It said the leader’s heart had swelled when he saw the North Korean audience respond enthusiastically to the performances of famous K-pop groups. He said the musical exchange was a significant occasion giving the appearance of a united country. The North had sent performers to the Pyeongchang Winter Olympics in South Korea earlier this year, followed by the first South Korean musical delegation to visit North Korea in more than a decade. The South Korean music delegation, which combines K-pop, rock and other genres, is set to perform again on Tuesday. Kim Jong Un is the first North Korean leader to attend a performance by an artistic group from the South, said South Korea’s official news agency, Yonhap. His wife Ri Sol-ju, and his sister Kim Yo-jong and the country’s nominal head of state Kim Yong-nam are also said to have attended. Meanwhile, one of North Korea’s top officials, Kim Yong-chol, has apologized to South Korean reporters who had hoped to cover the performance after all but one were barred from entering the Grand Theatre, South Korean Yonhap news agency reports. “It was wrong to hinder the free media coverage and filming,” he said, in what Yonhap reported as “a rare apology”. When President Donald Trump finally meets North Korea’s Kim Jong Un, the specter of China will also be in the room, a potent signal to the American President that Kim Jong Un has support for his cause from the region’s most formidable presence. Along with shoring up a rocky alliance, Kim’s two-day visit to Beijing was also designed to show Washington and Seoul that Kim wasn’t without his own diplomatic arsenal as he attempts to push for sanctions relief and recognition of North Korea as a legitimate nuclear power. “The very fact of this meeting alone, and certainly the tenor of the Chinese statement about it, really does increase Kim Jong Un’s leverage in the upcoming talks. It shows that Kim has a friend in Beijing,” said Adam Mount, a senior fellow and director of the Defense Posture Project at the Federation of American Scientists, where he covers US nuclear strategy, deterrence and North Korea. 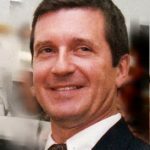 “It means the Trump team is going to be navigating really narrow straits here. It’s hard to overstate how dramatic this development is,” Mount said. Now that ties between Pyongyang and Beijing are seemingly mended, that bodes ill for the White House, said Mount. “The division between Beijing and Pyongyang was really our greatest asset with respect to North Korea,” he told CNN. “If that narrows even slightly, that’s a sea change. It changes the outlook for negotiations that we have to adjust for very rapidly. It’s clear both Pyongyang and Beijing won’t be dictated to by Seoul and Washington, but also develop their own agenda. We should be aware that it might be a coordinated agenda,” Mount said. The messages out of both Beijing and Pyongyang following the visit are meant to emphasize to all parties that there can be no deal with North Korea without China’s involvement. The “situation on the Peninsula” refers to not only the tension over North Korea’s nuclear program, but the presence of US troops to the south and the outlying waters where US and South Korean militaries regularly conduct naval exercises. Troops, missiles and tanks rolled into North Korea’s historic Kim Il Sung Square Thursday in a highly anticipated parade of military might on the eve of South Korea’s Winter Olympics. The choreographed display involved hundreds of soldiers marching in unison, planes soaring above and four of Pyongyang’s newest and most sophisticated missile, the Hwasong-15. North Korean leader Kim Jong Un watched all of it from a balcony above. The parade is being held to mark the day Kim’s grandfather, Kim Il Sung, formed the Korean People’s Army, and came as celebrations started in the South for the Games in the resort city of Pyeongchang. Kim and his wife, Ri Sol Ju, arrived by limousine and stepped out onto a red carpet. North Korean defectors, who fled their impoverished and repressive homeland, are voicing concern that the North’s Olympic delegation featuring its “army of beauties” will score deceptive propaganda points, but they also hold out hope that inter-Korean cooperation can create an opportunity for peaceful progress. A 230 member all female cheerleading squad, often called the “army of beauties,” will be among the large North Korean Olympic delegation planning to visit South Korea for the PyeongChang Olympics in February. “It will garner the spotlight, and as each of its actions can become an opportunity to promote North Korea, I consider this as a political move,” said Kim Chul-woong, who was a pianist with Pyongyang University of Music and Dance, before defecting in 2002. The cheering squad is made up of attractive and relatively tall women (over 160cm,) who were selected from elite universities and have no relatives living abroad. Perhaps the most famous former cheering squad member is Ri Sol Ju, the wife of North Korean leader Kim Jong-un. At the age of 16 she participated in the 2005 Asian Athletic Championships in South Korea. The women cheerleaders also undergo extensive ideological education to ensure loyalty to the state and to the leadership of the Kim family. “Leaving North Korea and visiting overseas is like going to fight in the heart of the enemy,” said North Korean defector Han Seo-hee. Han can also testify that the state’s ideological training is not always effective, as she was actually a North Korean cheerleader for the 2002 Asian Games held in Busan, South Korea, before she defected. North Korean leader Kim Jong Un has a third child, South Korea’s National Intelligence Service (NIS) has learned. Kim Jong Un’s wife, Ri Sol Ju, is believed to have given birth in February. “The gender of their new child is unknown,” a South Korean lawmaker said. Little is known about the North Korean first family, but opposition lawmaker Yi Wan-yong confirmed “Kim’s first child is a son [born in 2010] and the second child is a daughter [born in 2013],” noting he learned this information from non-NIS sources. There was speculation that Ri was pregnant late last year, when she disappeared from public view for several months, a time frame that would seem to line up with a February birth. Little is known about Ri, Kim Jong Un’s wife, who accompanied him to his father’s funeral in late 2011, sparking widespread speculation about the couple. It wasn’t until the following year that South Korean intelligence confirmed they had been married since 2009. Ri was partially educated in China and visited South Korea in 2005 for the Asian Athletic Championships “as a member of North Korea’s cheering squad,” a South Korean lawmaker told CNN in 2012. She is believed to be around 30 years old. 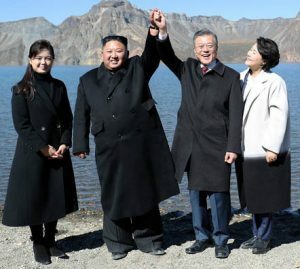 North Korea’s leadership has been in a celebratory mood since the first test of an intercontinental ballistic missile (ICBM) last week that the country said meant it had “risen to become one of the few nuclear weapons states.” There is so much joy, in fact, that even the wife of leader Kim Jong Un has come out of hiding. Public appearances by Ri Sol Ju have become increasingly rare within the past two years. But she was by Kim’s side as the pair attended a banquet in Pyongyang Monday to pay tribute to the developers of the recently launched missile. It was the first time she has been seen in public since early March, according to South Korea’s Yonhap News Agency. Video of the celebrations shows Ri largely observing impassively next to her husband. When Kim offers toasts to the missile developers, the head of whom was promoted to the role of colonel general, Ri moves into the background, without a glass in hand. Ri was first seen by Kim’s side in 2012, shortly after he had succeeded his father as the country’s leader. It wasn’t until after her appearance, though, that North Korean state media confirmed her name and the fact that she was Kim’s wife. The wedding is believed to have taken place in 2009, when Ri was said to be 23. Little, however, is known about her. A former member of a renowned orchestra, Ri was, though, seen in public on numerous occasions through 2012, 2013 and 2014, something which in itself was a break from tradition. The wives of Kim’s father and grandfather were never seen in public. But sightings have declined substantially since. The couple is known to have one child, a daughter who was confirmed by the unlikely source of Dennis Rodman following his visit to North Korea in 2013. Kim is believed to be desperate for a son to continue a family dynasty that has ruled the country since Korea was officially split into two states, in 1948. Ri Sol-ju, wife of Kim Jong-un has reappeared in public after seeming to vanish for nine months – prompting speculation she may have given birth to a male heir. Ri Sol-ju reappeared – in the full gaze of the public alongside her husband – during an air combat training competition. Local media reported that she appeared comfortable to be at Kim Jong-un’s side as they watched the display by the Korean People’s Air Force and Defense (KPAF). But there was no comment by the state-run Korean Central News Agency (KCNA) as to the reasons behind her extended absence – or an exact date of when the photo was taken. According to the South Korean news agency Yonhap News, Ri Sol-ju was last seen on a tour of a new commercial district and health complex in Pyongyang on March 28 of this year. In May Kim Jong-un hosted the country’s first party congress in 36 years – and his wife was nowhere to be seen. And over the past 9 months Kim Jong-un has been continuously spotted out and about touring the length and breadth of the country, never with his First Lady. Ri Sol-ju had curiously also not been mentioned in any state reports over the last nine months.